As was mentioned in a previous post, social media marketing content should be more than just brand advertising. But even if social media marketers accept this suggestion, the question still remains of how to best balance social media content. Even though the goal of social media marketing is increased brand awareness and more client interaction, less than half of an organization’s social media posts should be specifically about the business. The key to connecting and engaging people on social media is to make it about them. According to some experts, 80 percent of tweets or posts should focus on the consumer. However, posts should still be relevant to the overall themes and message of the organization. By being creative, content writers can produce posts that subtly highlight the products and services. For example, a home construction company can write posts about decorating a deck to draw attention to their home addition services. Giving social media users exclusive specials or sneak peeks at upcoming products and service can build interest in a more direct way. When balanced with posts that contain industry news, eye-catching imagery, and positive general content, the posts that contain sales and marketing pitch will be better received by the audience. 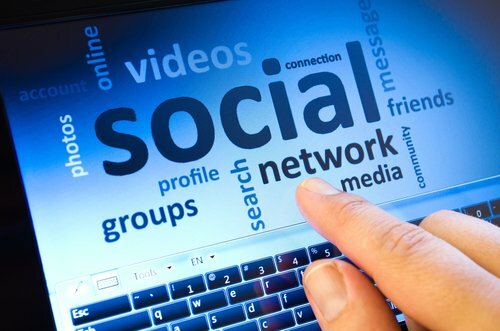 The biggest benefit of social media is that it allows organizations to connect to their clients and customers on a personal level. In essence, it allows them to become friends, and the same rules apply to advertising to online friends as to offline friends.. People that network and conduct business with their friends and acquaintances know that they can’t constantly advertise and market their services. If every time someone says “Hi” to Bill, Bill tries to sell them insurance, people will eventually stop talking to Bill and inviting him to parties. Don’t be Bill. By keeping a conversational mix of posts, organizations can build a rapport with their audience. It is then easier to subtly market to consumers when the time is right and there is something that will truly catch their attention and drive them to action. With this mix of posts in mind, social media marketing should be connected with the overall marketing plan for an organization. This means that the 20 percent of posts that directly relate to the organization should promote the same products, services, and events that the organization is promoting elsewhere. The other 80 percent of posts should subtly steer the conversations by making people think about things that relate to marketing plan. A final thing to keep in mind about balancing posts is to constantly experiment, research, and refine social media marketing techniques. Just as no two organizations are alike, every social media audience is a little different. Some organizations, like clothing designers and art galleries, may want to include more posts of products because the target audience wants to see the images. On the other hand, nonprofits have to be wary that they don’t over solicit their fans for contributions. While the internet is key fundraising ground for nonprofits in the 21st Century, the fans of a nonprofit on social media want to hear more about the issues and how contributions are being spent. This indirect marketing will lead to more contributions in the long run by encouraging fans (and their social media friends) to donate. As they try new things, social media marketers can see how their efforts are doing by checking the engagement rate of content. Finding the right balance of posts on social media can be tricky, but it’s an effort that organizations have to make. While social media makes it easier to advertise to fans and consumers, it’s not an excuse to turn a social media to a complete advertising portal. In fact, trying to do so will almost certainly doom any such effort. By maintaining a proper balance of content, organization’s not only succeed in marketing to consumers, they can build a true relationship with consumers that leads to greater brand loyalty and positive word-of-mouth advertising.